Several technologists, fellows and faculty in the Division of Diagnostic Imaging and Radiology at Children’s National Health System were recognized at the 2017 Society of Pediatric Radiology (SPR) Annual Meeting in Vancouver, Canada, May 16-20. Each year, the international conference recognizes society members for outstanding research and education in pediatric care on the topics of imaging and image-guided care. Out of 15 major awards, Children’s National staff earned five, including two Caffey Awards – SPR’s most prestigious awards for academic excellence. The Society of Pediatric Radiology Caffey Award for Best Clinical Research Paper went to attending radiologist, Dorothy Bulas, M.D., for her clinical research paper titled, “CXR Reduction Protocol in the Neonatal Intensive Care Unit (NICU) – Lessons Learned,” which highlighted collaboration with the NICU team to reduce the reliance on x-rays to monitor neonates. 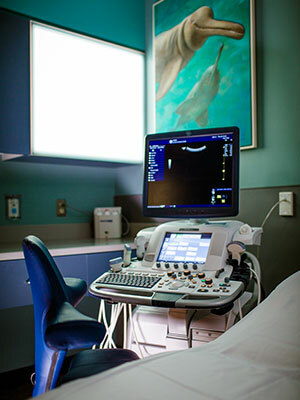 This method decreases the radiation dose with no risk to the patient. The Society of Pediatric Radiology Caffey Award for Educational Exhibit was given to Benjamin Smith, M.D., a pediatric radiology fellow, for his educational poster “Sonographic Evaluation of Diaphragmatic Motion: A Practical Guide to Performance and Interpretation.” The exhibit displayed a unique technique for examining the motion of the diaphragm using ultrasound to make an accurate diagnosis of diaphragm paralysis or motion. Dr. Smith’s exhibit was also recognized by The American Academy of Pediatrics and was given the Outstanding Clinical Education Poster Award along with radiologist Hansel Otero, M.D. ; sonographer Tara K. Cielma, R.D.M.S, R.D.C.S, R.V.T. ; and faculty member Anjum N. Bandarkar, M.D. 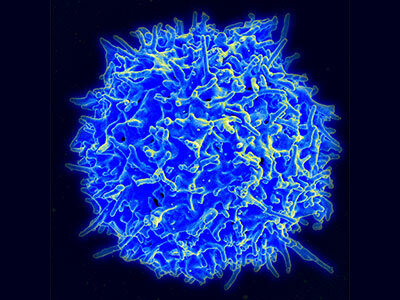 T-cell immunotherapy, which has the potential to deliver safer, more effective treatments for cancer and life-threatening infections, is considered one of the most promising cell therapies today. Each year, medical experts from around the world – including leaders in the field at Children’s National Health System – gather at the International Society for Cellular Therapy (ISCT) Conference to move the needle on cell therapy through several days of innovation, collaboration and presentations. Dr. Catherine Bollard, Children’s National chief of allergy and immunology and current president of ISCT, kicked off the week with a presentation on how specific approaches and strategies have contributed to the success of T-cell immunotherapy, a ground-breaking therapy in this fast-moving field. Later in the week, Dr. Kirsten Williams, a blood and marrow transplant specialist, presented encouraging new findings, demonstrating that T-cell therapy could be an effective treatment for leukemia and lymphoma patients who relapse after undergoing a bone marrow transplant. Results from her phase 1 study showed that four out of nine patients achieved complete remission. Other medical options for the patients involved – those who relapsed between 2 and 12 months post-transplant – are very limited. Looking to the future, this developing therapy, while still in early stages, could be a promising solution. To round out this impressive group, Shabnum Piyush Patel gave a talk on genetically modifying HIV-specific T-cells to enhance their anti-viral capacity; the team plans to use these HIV-specific T-cells post-transplant in HIV-positive patients with hematologic malignancies to control their viral rebound. This exciting team is leading the way in immunology and immunotherapy, as evidenced by the work they shared at the ISCT conference and their ongoing commitment to improving treatments and outcomes for patients at Children’s National and across the country. To learn more about the team, visit the Center for Cancer and Blood Disorders site. Steven Hardy, Ph.D. recently joined medical leaders in Montréal for the American Society of Pediatric Hematology/Oncology’s 30th Annual Meeting, where he and his team presented key findings from their cognitive and psychosocial research program involving youth with Sickle Cell Disease (SCD). The first presentation, “Processing Speed and Academic Fluency in Youth With Sickle Cell Disease,” showed that, on average, children with SCD are less able to quickly and efficiently process information than their healthy counterparts. This weakness negatively impacted their academic performance, particularly in math fluency, and increased the children’s odds of having to repeat a grade in school. A second presentation, “Quality of Life and School Absences in Children With Sickle Cell Disease With and Without Asthma,” explored the differences in quality of life between children with SCD only and children with both SCD and asthma (a common comorbidity). 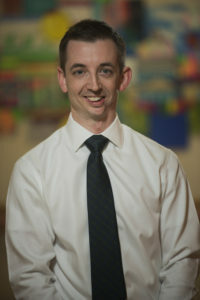 Dr. Hardy and his team found that children with both diseases tend to experience a greater impact on quality of life. Other factors – such as the child’s IQ and the family’s financial, material and social resources – moderated this risk. 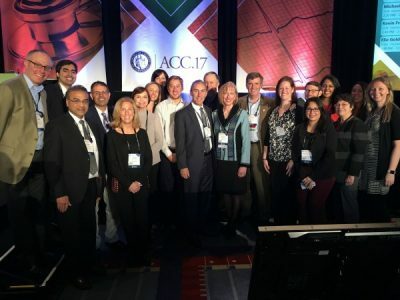 The presentations were met with enthusiasm from renowned medical professionals from around the world, all of whom came together for collaborative and constructive sessions to move the needle on pediatric care. 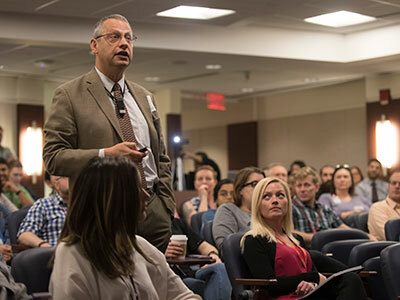 Boris D. Lushniak, M.D., M.P.H., Dean of University of Maryland School of Public Health and former deputy surgeon general speaks at Research and Education Week 2017 at Children’s National. Children’s National Health System recently held its 7th Annual Research and Education Week, inviting many keynote and special lecturers to share insights on the most recent research and education findings. Boris D. Lushniak, M.D., M.P.H., dean of the School of Public Health at the University of Maryland and former deputy surgeon general, was just one of many renowned keynote speakers to grace the stage. In his presentation, “The immunization battle: Perspectives from a public health guy,” Dr. Lushniak described public health as the “science and art of preventing disease, prolonging health and preventing disease through the organized efforts and informed choices of all.” He discussed immunizations across the years, highlighting past achievements in the public health world, the current state of childhood immunizations, and how to improve the view and impact of immunizations and vaccinations in the future. Since the 1900s, there have been great achievements in the public health world from vaccinations and child immunizations to the recognition of tobacco as a health hazard. Statistics have revealed how child immunizations are the most cost-effective clinical preventive service with a high return on investment. According to Healthy People 20/20, birth cohorts vaccinated according to the childhood immunization schedule provided by the Center for Disease Control saved 33,000 lives, prevented 14 million cases of disease, reduced direct health care costs by $9.9 billion and saved $33.4 billion in indirect health care costs. Although the statistics have value to medical professionals, Dr. Lushniak explained how the personal views of patients and families create barriers for advancement. The March 2016 Journal of American Medical Association reported that 300 children in the United States die from vaccine-preventable diseases each year; each case representing a failed opportunity to prevent disease due to vaccine refusal and a decrease in community immunity. Dr. Lushniak concluded his presentation by encouraging the audience to keep working towards the advancement of immunization, despite any perceptions against getting children vaccinated. The Children’s National Health System Center for Neuroscience and Behavioral Medicine is proud to host the 27th Annual Pediatric Neurology Update course. This year’s course will be focused on the new understandings, molecular biology and novel treatments of childhood movement disorders ranging from Tourette’s syndrome to incapacitating neuro-genetic and auto-immune conditions. We invite you to join us for presentations from renowned experts in the field in this full-day, CME accredited event on April 19, 2017 at the Children’s National main campus in Washington, D.C.
Roger Packer, M.D., Senior Vice President for the Center of Neuroscience and Behavioral Medicine and Director of the Brain Tumor Institute at Children’s National Health System, will be speaking at the 21st Annual Meeting and Education Day of the Society for Neuro-Oncology. From November 17-20, 2016, the conference will gather neuro-oncologists, medical oncologists, adult and pediatric neurosurgeons, pediatric neuro-oncologists, neuroradiologists, neuropathologists, radiation oncologists, neuropsychologists, and epidemiologists from across the country to discuss the future of neuro-oncology. Dr. Packer will be sharing his expertise in treating neurofibromatosis and pediatric brain tumors. He also will be part of a working group to discuss guidelines for response assessment in PDCT-13 medulloblastoma and other leptomeningeal seeding tumors. Roger Packer, M.D., Senior Vice President for the Center of Neuroscience and Behavioral Medicine and Director of the Gilbert Neurofibromatosis Institute at Children’s National Health System, was an invited speaker at the 2016 Neurobiology of Disease in Children Symposium: Neurofibromatosis (NF). This conference brought together experts from around the world to discuss the newest developments in the understanding and treatment of children with NF. While at the conference, which was held on October 26, 2016, Dr. Packer gave an update of the Department of Defense-sponsored Neurofibromatosis Clinical Trial Consortium. The Neurofibromatosis Clinical Trials Consortium, of which Dr. Packer is the group chair, was established by the Department of Defense Neurofibromatosis Research Program to develop and perform clinical trials for the treatment of NF complications in children and adults. Roger Packer, MD, Senior Vice President for the Center of Neuroscience and Behavioral Medicine and Director of the Brain Tumor Institute at Children’s National Health System, was an invited speaker at the Coalition Against Childhood Cancer meeting at Cold Springs Harbor Laboratory on October 31 and November 1, 2016. 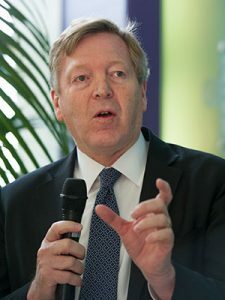 This international conference was a unique collaborative effort between multiple foundations, the National Cancer Institute, and industry experts to develop a new path forward for the treatment of childhood cancer. Dr. Packer spoke on “Pediatric Brain Tumors: Where Are We Now” and shared his expertise in treating pediatric brain tumors and what he hopes the future of pediatric brain tumor research will look like. Pediatric brain tumors recently surpassed leukemia as the most deadly form of childhood cancer. Lenore Jarvis, M.D., an Emergency Medicine Specialist at Children’s National Health System, won Best Abstract in the Section of Emergency Medicine at the American Academy of Pediatrics 2016 National Conference. Monika Goyal, MD, MSCE, also an Emergency Medicine Specialist at Children’s, is senior author of the study. The abstract, titled Postpartum Depression Screening in a Pediatric ED, explored the topic through an investigation of the prevalence of postpartum depression positive screens, factors associated with them, and the frequency of screenings and the impact they have. The research findings may help with future efforts to support mothers with infants who use the emergency department.